​Government: Costa Rica touts itself as the oldest democracy in Latin America. The president is elected for one four-year term; he or she may be re-elected, but the terms cannot be consecutive. The president and two vice presidents are elected by majority vote; there is no electoral college. Throughout the country, if two candidates end their race in an absolute tie, the one who is older takes office! Economy: The major contributors to the Costa Rican economy are 1) tourism; 2) microchips; 3) pineapples; 4) bananas; 5) coffee; 6) medical tourism. 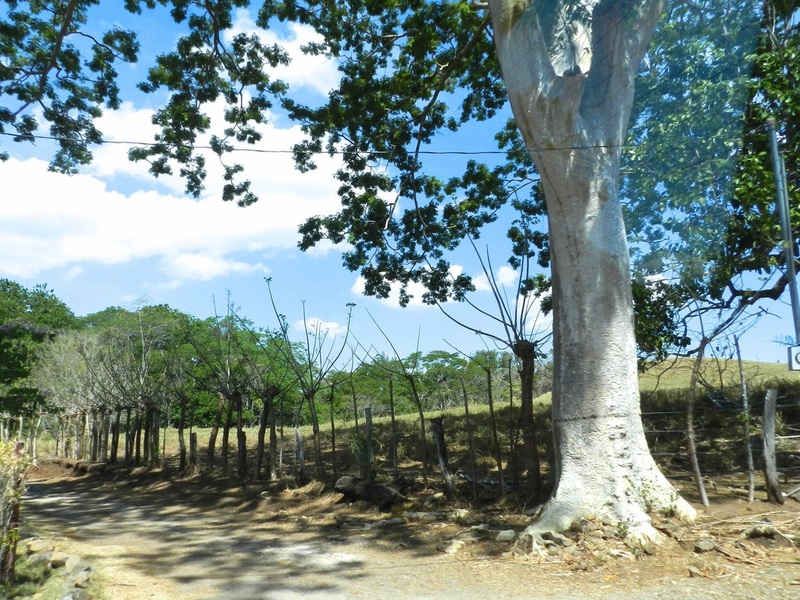 ​Retirement and Health Care: The Costa Rican Institute of Social Security was created in 1940 to provide pensions and health care, including medical and dental. All workers pay 9.17% into the system with no upper limit on the amount of income to be taxed. The unemployed are not covered unless they have a spouse who works, but coverage may be purchased for $40/month. There is also a private system available for those who can afford it. One must have at least 320 months of coverage to collect social security. 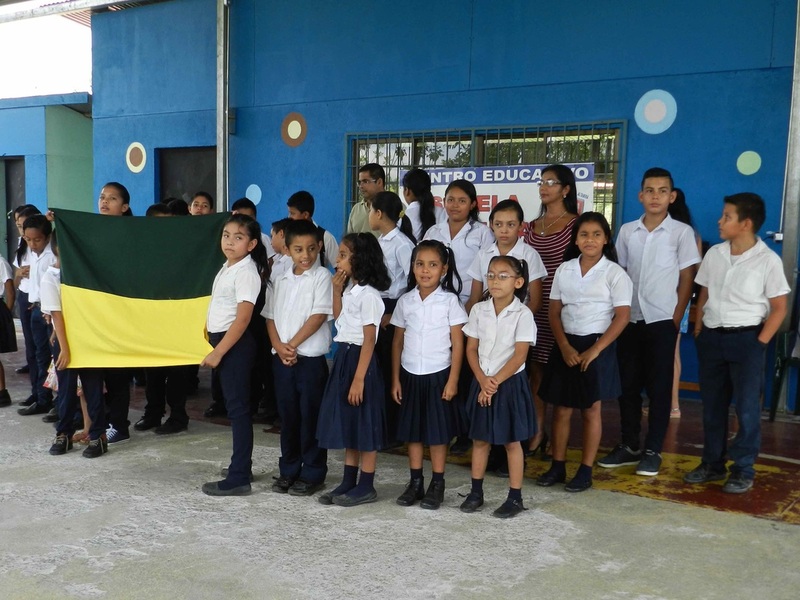 Education: The school year coincides with the calendar year and runs from February to December.The plan is that the greatest distance from a child's home to the nearest elementary school is half a mile; however, in some rural areas that is not possible. Transportation, if needed, is free and attendance is mandatory to age 15. Spending on education is 7.4% of the gross national product, some of which is made possible by the abolition of the military. When that was abolished, much of the money saved was funneled into education. 94.5% of the nation's grade-school-age children are in school, and the literacy rate of the country overall exceeds 95%. About 25% of high school graduates go on to college. Those who don't pass the entrance exams may go to public vocational schools which are free. Much of the training in those schools prepares students to work in call centers. 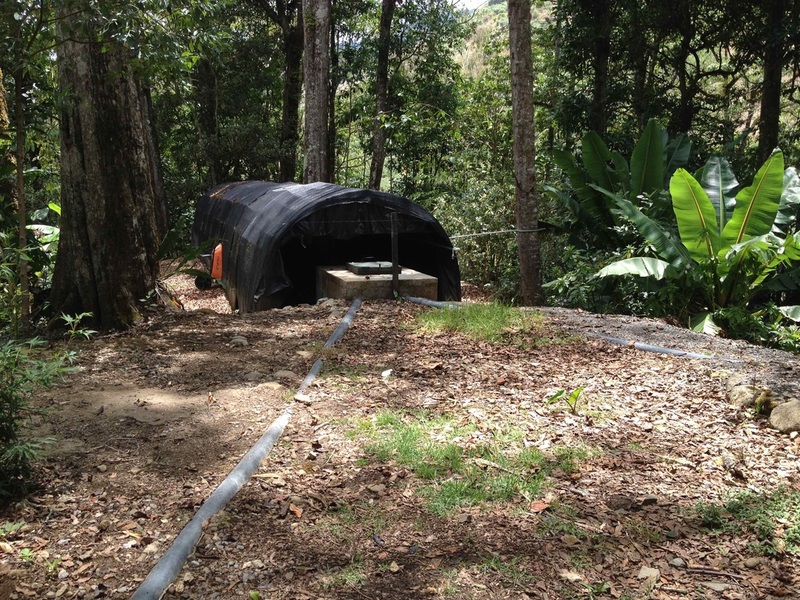 Conservation: Currently, 97% of Costa Rica's energy comes from renewable sources. Windmills dot the landscape. Possibly the most unique (unfamiliar to me anyway until this trip) was the creation of biogas from human waste. Savegre Lodge, where we stayed in the valley, maintains its own conversion station and uses the gas produced to power their cookstoves. Living fences are frequently seen in the countryside. They can act as a windbreak, prevent soil erosion, and help cool the atmosphere. 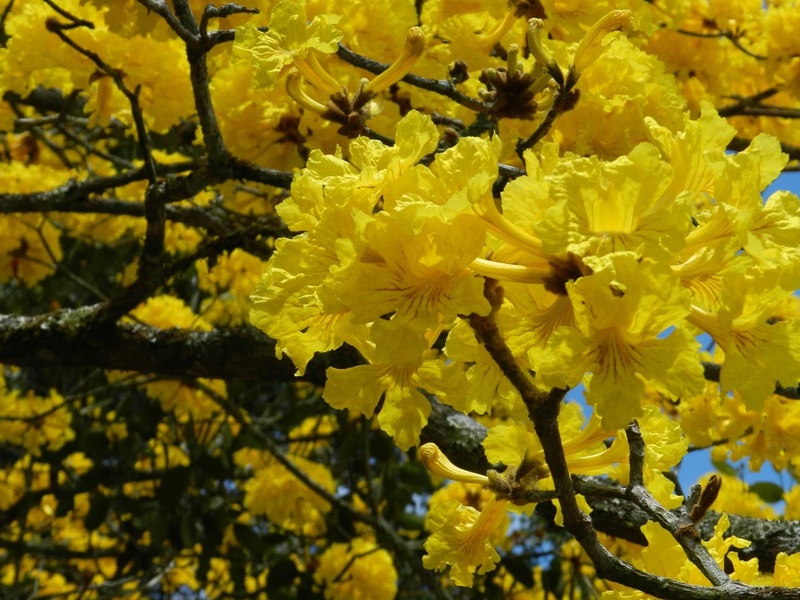 The Yellow Cortez Tree: We were fortunate to be in Costa Rica at the time of the blooming of the yellow cortez tree. The spectacular blooms last only six days, and the area we were driving through had the trees in abundance. One of the most impressive was on the dairy farm we visited. A living fence along a country road. The fence wire isn't visible in the photo.